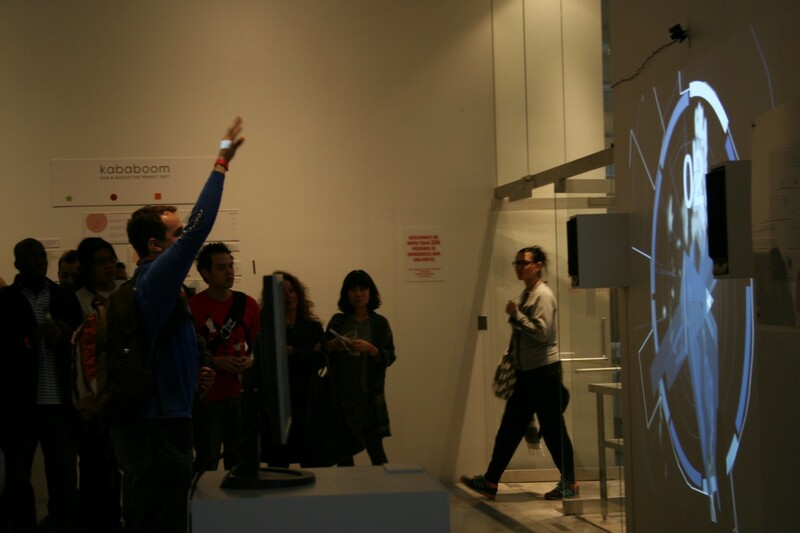 social sqncr is an interactive audio-visual installation that aims to make people more aware of the act of creating their public identity. 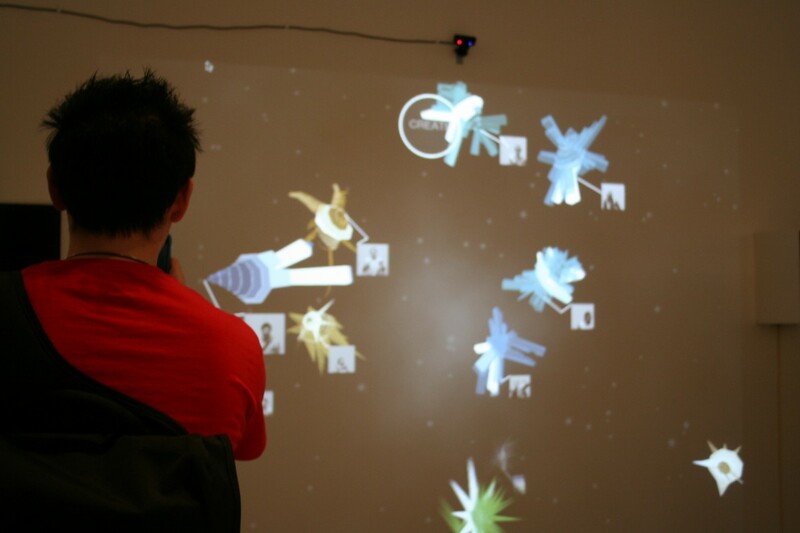 To create their 'identity', participants use their bodies to physically interact with a pseudo-musical instrument projected in a physical space to create virtual musical creatures based on users' movements. 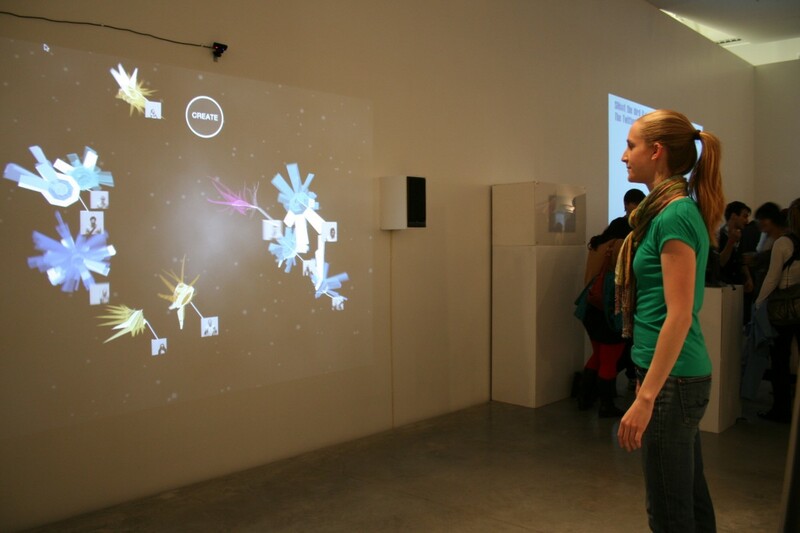 The instrument consists of eight zones that participants interact with which influence the shape, movement, and aural properties of the resulting entity. Once complete, the system captures an image of the participant to attach to the creature which is then set free into an eco-system inhabited by similar entities. The entities react to one another, much like human beings in a social network. Participants can cause environmental disturbances by physically interacting with the projection. 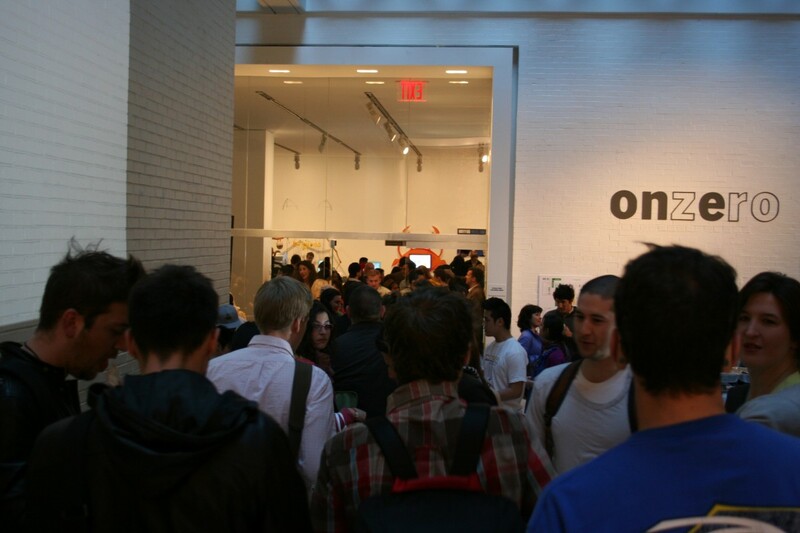 social sqncr is the thesis project of Nick Hardeman and Bruce Drummond for the Parsons MFADT graduate program.